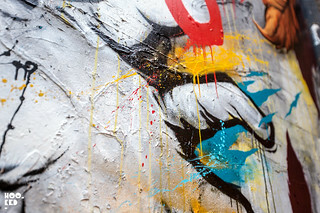 Los Angeles based Australian artist, David "Meggs" Hooke was in London to present a new collection of work currently on show at East London's Stolen Space Gallery. 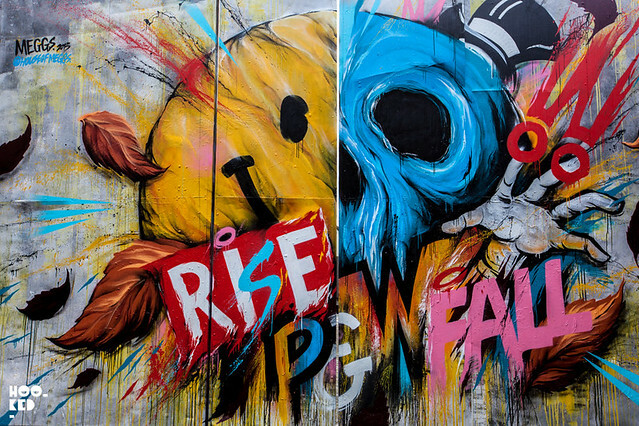 Titled 'Rise & Fall' the new body of work from the artist follows on from his residency and sold-out show at Inner State Gallery in Detroit last September, where he painted his largest mural to date at over 6,000 square feet. 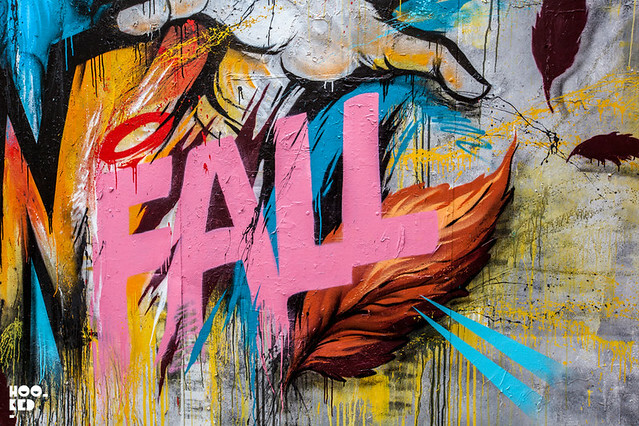 To coincide with his show, Meggs took to the streets of London to create this Rise & Fall mural. 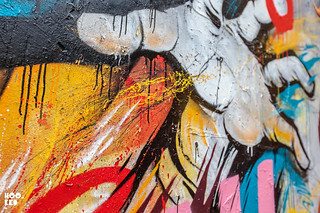 While no where near the scale of his Detroit piece, the London mural was no less impressive. 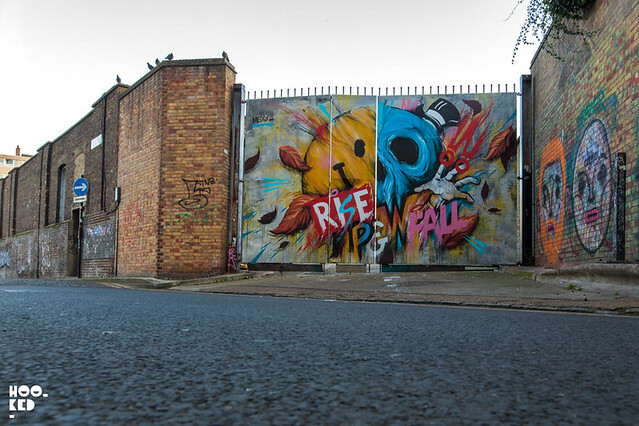 The mural can be found on Buxton Street in East London, Rise and Fall is on show at Stolen Space until the 8th March. 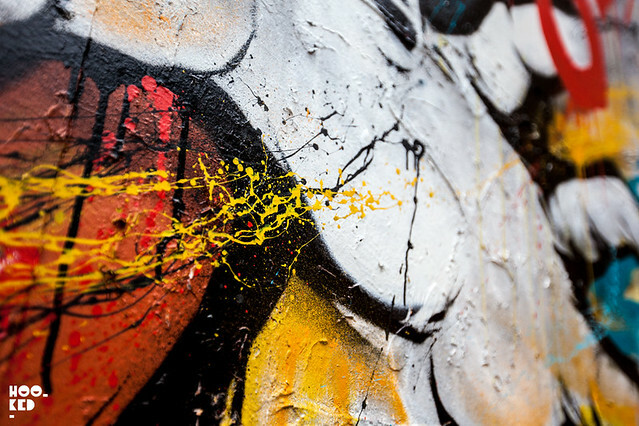 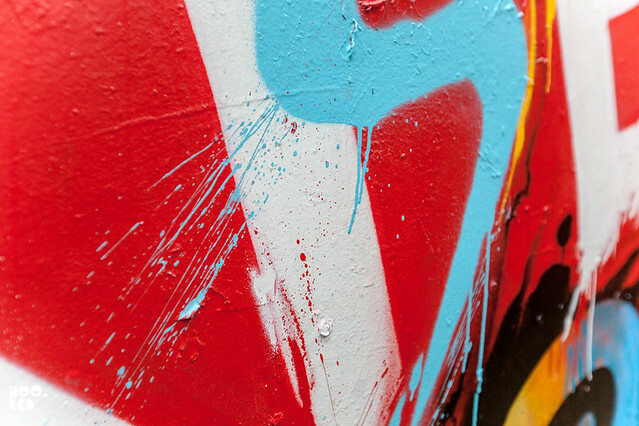 Our friends at Spraying Bricks caught up with Meggs for a short video interview while he was in London as well as catching him at work on this mural.